We believe that every child should have the opportunity to go to school, giving them the right to FULFIL their potential enabling them to break the cycle of poverty, and to ensure they have access to free healthcare. 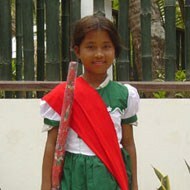 The history of the Trust goes back to a trip to Myanmar in 1998, which changed Sue & Sahin's lives. Touched by the plight of a boy whose mother could not afford to feed him or send him to school, they decided to pay for his education along with two other children. 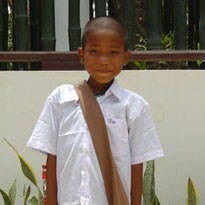 Helped by many people, there are now well over 250 children being sponsored. A school was built to teach English. 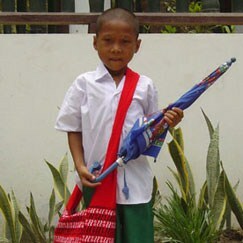 The children are so enthusiastic and keen to learn, that they arrive up to two hours early for classes. 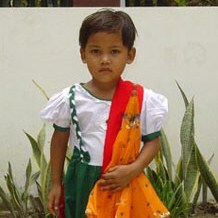 Provide healthcare for the children of Lintha Village if families can't afford doctor's fees. Children could die of diseases that can be readily treated. Provide use of the Andrew Clark Trust Library which was opened in 2005 and has over 2500 books. It has a full time librarian and is open 6 days a week. Around 200 books are borrowed each week. The Trust believes that every child should have the opportunity to go to school and have the right to fulfil their potential, thus enabling them as adults to break the cycle of poverty. To give children the chance of basic education, and for our brightest ones, the chance of further education. To provide children with access to medical healthcare, and if funds allow, offer this to adults.